Great read and excellent examples & suggestions to educate others. Colourful & great for using in activities to elaborate on in school or at home. 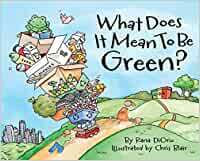 My students really enjoyed this book and now have a much clearer understanding of what it means to be green. 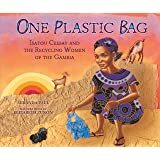 They have passed on the message of the book to their parents, helping make a positive impact on the environment of their community. 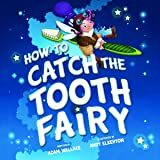 5.0 out of 5 starsGood for kids to read. 3.0 out of 5 starsGrand-daughter liked this! I was looking for a book to read my grand-daughter to keep her busy on a trip. The cover drew me in first. The story is about "green" ideas for your life & environment. It was above my grand-daughters understanding, she's two; but the kid I babysit, he's 5, he really liked it. 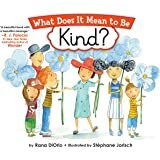 Great book for your little hippies! This little book is truly worth a read or two. 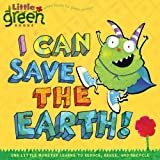 Not only does it teach children to be green, it helps change adult views of living too. I recommend it to all ages.